Drepung Monastery is the largest monastery in Tibet. And its Tibetan name means “Rice Heap Monastery” because from the distance, it look like a huge rice heap. Located about 10km west from Lhasa, it is convenient to get there. in 1416, the disciple of Tsong Khapa built it. So it is a Gelugpa Monastery. Moreover, it has the highest status among all Gelugpa monasteries in Tibet. Also, Dalai Lamas lived in the monastery before the construction of Potala Palace. 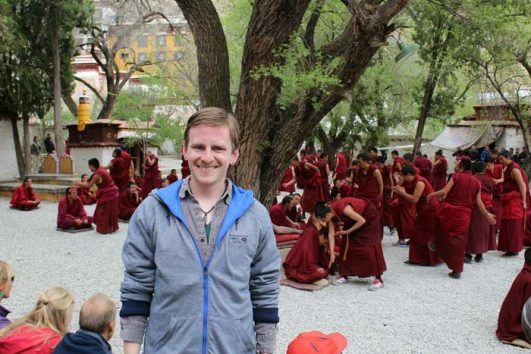 If you want to explore the monastery, please join in our Drepung Monastery Tour. We will drive from your hotel to the monastery in the morning. And you have about 2 hours exploring the big monastery. After that, we will head to Sera Monastery to view the monks’ debate in the afternoon.